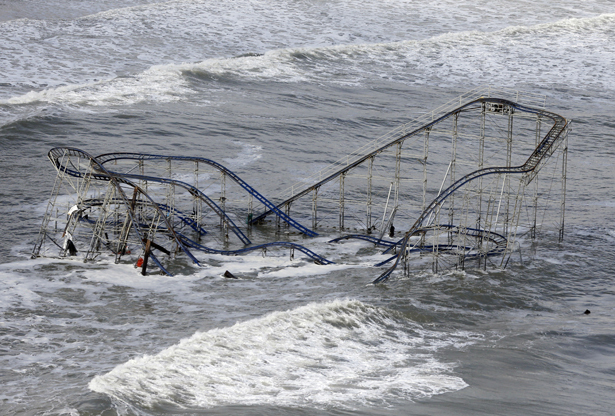 With Hurricane Sandy still on the public’s mind, Obama should take action on carbon emissions and disaster response. Editor’s Note: Each week we cross-post an excerpt from Katrina vanden Heuvel’s column at the WashingtonPost.com. Read the full text of Katrina's column here. As you may have noticed, the end of the year was all about the end of the world. Mayan doomsday prophesies. Rogue planets on a collision course with Earth. Fear-mongering about an artificial “fiscal cliff.” House Republicans doing, well, what they usually do. Fortunately, for now, life as we know it continues. And scary as all of this sounds, the real horror show, the true existential threat, is yet another crisis of our own making: the catastrophic effects of climate change. There’s no need to read Revelations or catch a Michael Bay-Jerry Bruckheimer matinee to understand what it will look like. Just Google image search “Hurricane Sandy and Staten Island,” and you’ll get the general idea.